Believe me, I’ve heard every excuse, including the frustratingly irrefutable “it’s fishy.” No kidding guys, it’s fish – what did you expect it to taste like? But I’m here to tell you how to get your kids to eat and even enjoy the bounty of our seas, rivers and lakes. And, no, I’m not talking about rectangular breaded strips from the Gorton’s Fisherman either (though I should note that the inventor of the fish stick died this year at the ripe old age of 96, no doubt fortified by Omega 3 and panko breadcrumbs). I mean fish from an identifiable species with some real flavor. That’s pretty much the way it went for the next couple of hours. It was like, well, like shooting fish in a barrel. Except we were dangling bits of chopped up, dead squid on metal hooks and getting them to bite it. 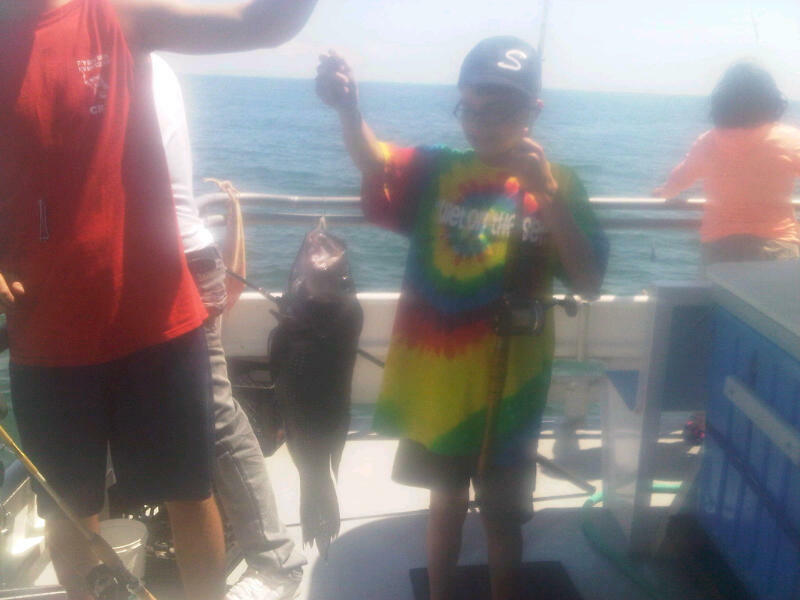 Even with one kid taking a break for seasickness, I think we caught about 35 and we kept 24 fish, mostly porgies. On to the next step which is paying a deckhand a dollar a fish to gut and fillet them for you. What’s that you say? Afraid to get our hands dirty? Aside from the fact that I already was covered in a fair amount of fish blood and slime, thank you very much, sharp objects and rocking boats are not a good combination for me. It isn’t much safer on dry land. Plus, let’s face it, cleaning fish is gross. So the six tired landlubbers rested and took home the fillets in nice little baggies. Step three is to cook it in the way most likely to appeal to the taste buds of a child. That probably doesn’t involve lemon, capers or garlic – not that we had any of those ingredients. 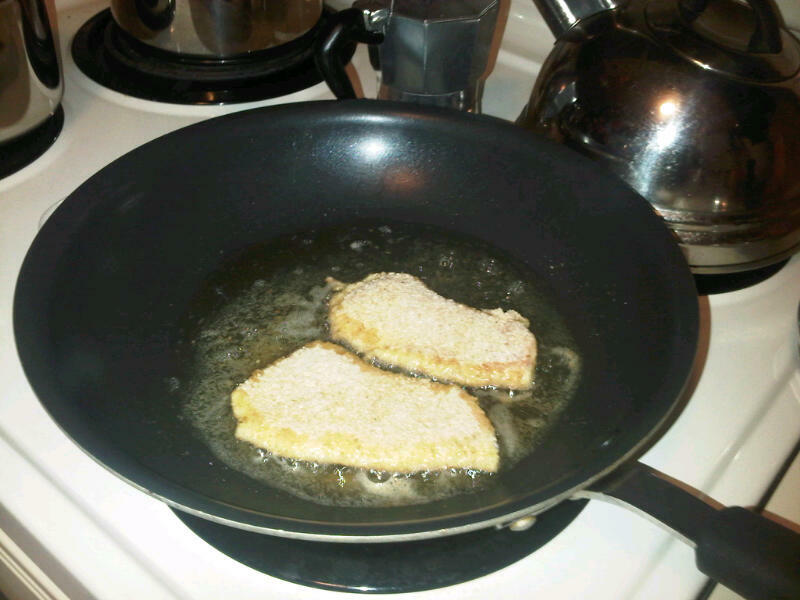 Good old breading and frying with egg batter worked fine. Any Omega 3 left after this? And the final step – eating a glorious meal that was swimming around a few hours earlier. Of my three taste testers, even the harshest critic and quasi-vegetarian approved. 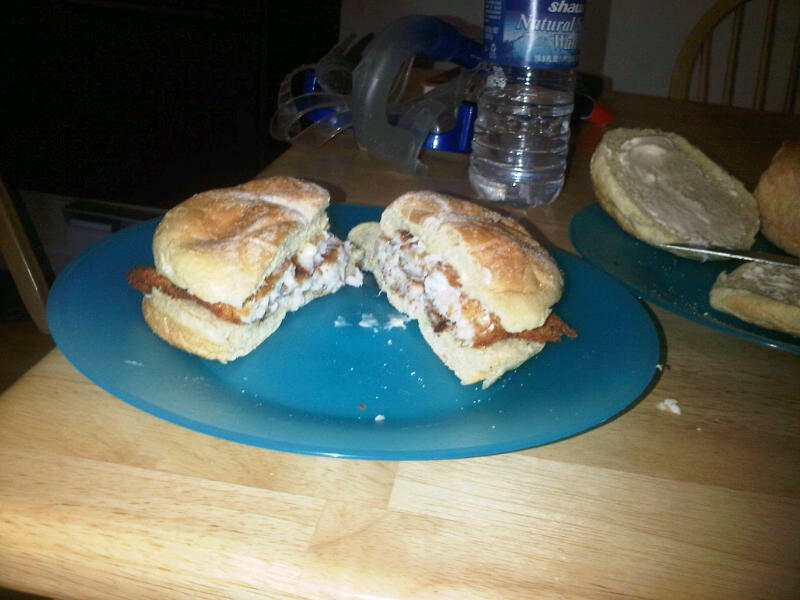 In fact, following his five star review and owing to the fact that we had a crapload of fish left, we saved the rest for fried fish sandwiches. I figure we saved the cost of the fishing trip in meals not eaten out. Despite having fish for breakfast(! ), lunch and dinner the next day, popular demand dictated that we have fish sandwiches the next day too! I can’t guarantee the same results but, in our case, a half day at sea may turn into a lifetime of trips down the supermarket seafood aisle. This entry was posted in food, Uncategorized and tagged bass, cape cod, cooking, fish, fishing, kids, porgy, scup. Bookmark the permalink. Impressive! I have a couple of young men that will be reading this post later! !